FAMTrips.Travel is excited to acknowledge our engagement with Acts4Rwanda.org to sponsor three very special children who were in immediate need of support to continue their education in Rwanda. Acts4Rwanda was begun out of the love for this country and its people by a very special travel professional, Mrs. Lynda Weir. Lynda and her dedicated Christian team have identified so much need and have brought hope to the lives of so many children living in great poverty in Rwanda. 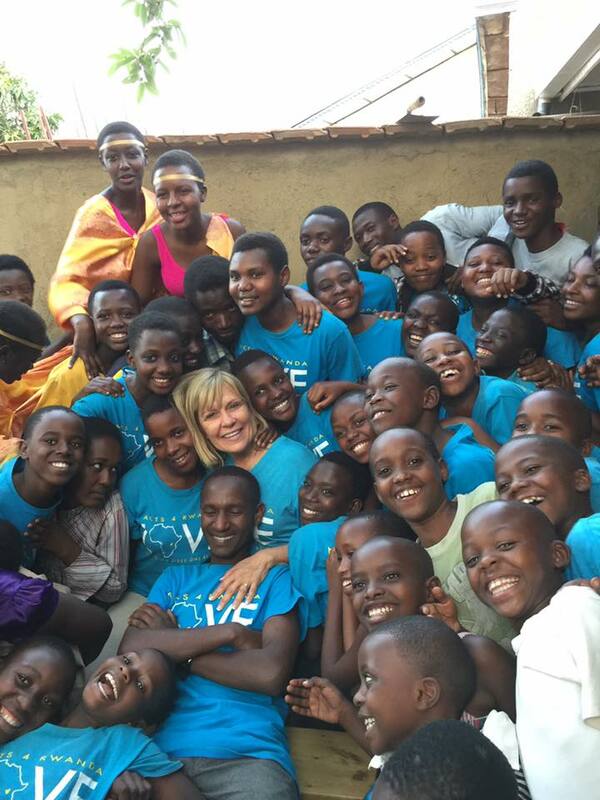 “ Her story of the development of Acts4Rwanda and Lighthouse Children’s Home has been an inspiration to us for many years,” stated Melody Fee, FAMTrips.Travel partner. Now with great joy, we know that FAMTrips.Travel can continue to support their needs in ways great and small, and with our contributions, these children below can begin to experience a brighter future! You participation in FAMTrips.Travel FAM programs will also support these goals and many more in the years ahead. Thank you! Shema Vincent is 12 years and says that he wants to study courses relating to political science so he may one day get a chance to join government leadership. Due to the support of FAMTrips.Travel scholarship program and the work of Acts4Rwanda, Vincent is able to go back to school this coming term. His mother cleans other people’s homes to sustain the home. His father was a local security guard but developed a serious illness and his entire left side is now paralyzed. FAMTrips.Travel is excited to be his sponsor and look forward to his progress! Muhayemariya Jacquline is one of seven children. Because of the low level of family income, her parents were only able to pay for the older three siblings to go to school. While she was not going to school, her “job” was to concentrate on scaring birds in the rice gardens near her home. She is 13years and in Grade 8. When Acts4Rwanda team met with her, their comments were that “they could see a great, smart future leader.” FAMTrips.Travel is grateful to be her sponsor for the year ahead! Uwihirwe Adeline is the daughter to a woman whose 5 children were killed during the genocide. She gave birth to Adeline in her old age. Where as she loves her only child, she is afraid and uncertain of her future. Adeline’s mother is diabetic and also has other illnesses besides living in extreme poverty. Adeline is 12 years old. FAMTrips.Travel is grateful to share in the mission to support Adeline’s education for the upcoming year. “All the believers were united in heart and mind. No one claimed that any of their possessions were their own, but they shared everything they had,” reads Acts 4:32 of the Bible. However, it is one thing reading the Bible and feeling reassured as a Christian, and quite another when a single verse actually inspires someone to start something to help others. But that is precisely how Acts4Rwanda, a local non-governmental organisation that helps needy and vulnerable children in and around Kigali, was formed towards the end of 2013 by four friends. Lynda Weir, Acts4Rwanda principle founder and executive director, is based in Little Rock, Arkansas, US, where she does most of the fundraising to raise money to support her charity work in Kigali. Mama Lynda, as she is fondly known among the children her organisation helps, was in Kigali recently to check on the activities of her charity. It is then that she had a conversation with The New Times about her love for Rwanda. Her story is one of pure compassion for children, a trait which has given her a special status; an American mother with Rwandan children. Mama Lynda had been coming to Rwanda regularly since 2008 to partake in activities of a Rwamagana-based Ministry called Lighthouse Children’s Home in which her daughter Amanda was serving. But a 2013 incident has since deepened her relationship with Rwanda and inspired her to start Acts4Rwanda, which now supports the school and welfare needs of over 40 children from needy households. The incident happened in the living room of a local friend’s house in Kimironko, a Kigali suburb. It was a Saturday afternoon in mid-2013, and the friend, a one Samuel, had invited, like he often did, about 16 street children that frequented the Kimironko market dump for a rare lunch. “I looked into their eyes and they looked completely helpless and I thought the Lord was speaking to us through this moment,” Mama Lynda reminisces. They had lunch with the children, told them a few stories in the Bible and assured them that someone up in the skies (God), cared and loved them. After the encounter, Lynda left Kigali and returned to the US, but she admits that her thoughts actually stayed in that room in Kimironko; her mind kept replaying the images of the children, happy and joyous in spite of their circumstances. “I thought it was our responsibility to assist them and, in November 2013, I came back, with a plan,” she recollects. Like they say, the rest is history. The present is about Acts4Rwanda, a fast-expanding charity that currently supports over 40 children from vulnerable and needy backgrounds through school. For Lynda, Rwanda is now a major part of her life. But there is also a background to it. Her ‘Mama Lynda’ title was given to her by the first batch of beneficiaries that went to study in the US on the Presidential Scholarship programme. That was around 2008. “Many of the Rwandan scholars who arrived in my hometown, Little Rock, were in cultural shock and needed to be inducted into the American way of life. I saw a need which we quickly formalised into a formal host programme,” she said. The host programme worked in a way that Rwandan scholarship beneficiaries, once in the US, would be linked to families willing to host them as their own children and help them during their stay. Over the years, Lynda says she has played hostess to a number of Rwandan students studying in the US and they subsequently got used to calling her ‘Mama’ (Mother/mum), a role she says she enjoys. Her title of Mama was cemented further when her daughter Amanda fell in love and got married, about two years ago, to Prosper Majyambere, one of the beneficiaries of the Presidential Scholarship. Majyambere was not among Lynda’s Rwandan students in her care; he was enrolled in another university located far away from Little Rock. But as nature would have it, Majyambere met Amanda in Washington, during a youth leadership conference where both were representing their colleges. “They got to know each other, developed a friendship and one year ago, they got married and my daughter became Amanda Majyambere,” Lynda narrates. Now mother and daughter are deep into charity work here in Rwanda. They recently secured a small grant to expand their interventions and help more needy children by sponsoring them in school. David Alireki is the Charity’s country director overseeing all field activities and ensuring that the support sent in from compassionate hearts abroad actually reaches and impacts the beneficiaries. The Charity’s long term plan is to start its own school where they can offer the children a full package of life skills and spiritual wisdom to nurture them into productive citizens. Early this year, the Charity took on two children who were seemingly homeless, roaming Kimironko neighbourhoods without a care. “They had never set a foot in class,” says Alireki. Now that is shocking to hear in a country like Rwanda with one of the highest primary school enrollment levels. “The head teachers could not also understand how any parent would fail to enroll their kid in a school. But such is the need we are serving – contributing to the Government’s efforts so giving every kid access to education,” Alireki explains. On Mama Lynda’s team is a one Emily Perrone, Acts4Rwanda’s head of operations and sponsorship. The team’s work involves sending e-mails, writing letters and hold fundraising ceremonies to raise resources to keep needy children like 15-year-old Consolate and 22-year-old Fredrick in school and help them attain their career dreams. Consolate, who wants to be a doctor in future, was in Senior Two and on the verge of dropping out of school due to lack of tuition fees when Acts4Rwanda took her on. She is now in Senior Three. “I am thankful to Acts4Rwanda because they have kept me in school, but most of all, they showed me love and for the first time in my life, I feel valued as a child,” she says. Fredrick’s story is similar to Consolate’s. He had dropped out of school, abandoned his village in Ruhengeri District and come to Kigali to do menial jobs to raise money to look after his ailing 92-year-old grandmother. “Acts4Rwanda has helped me return to school and I am now confident that I will complete secondary school and go on to become an engineer,” he said. Most of the children benefiting from Acts4Rwanda activities are from single mothers or widows. Because of their tragic circumstances, many of the children often end up taking to the streets for a livelihood. There are various efforts by the Government to address the plight of street children, but the need is huge and charities such as Acts4Rwanda are attempting to fill that gap, according to Alireki.